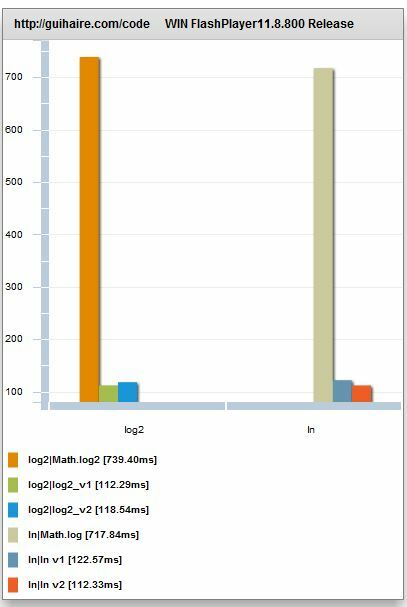 I presented ways to optimize log10(i) (log10), log2(i) (log2(n), what about a faster Math.log for Numbers ? 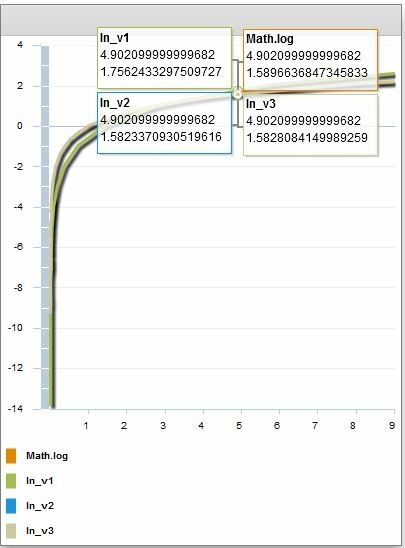 Lets start with a log2(N:number), when a number is written as a ieee-754 numbers, we can read directly the exponent of the number. with alchemy, we can alias our number as an integer, and extract the exp. How fast are our versions ? v1 is by far the fastest log for me on an Intel Xeon W550. 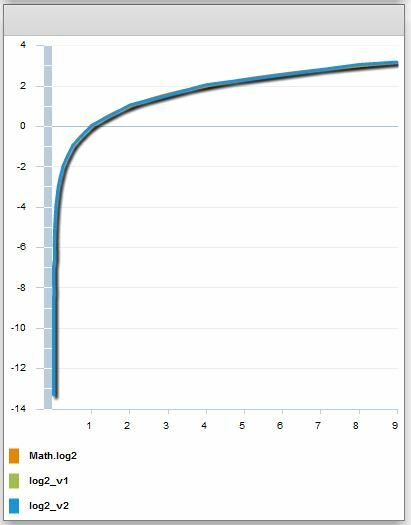 For log2, Math is actually fastest by a fair margin. I’d be interested to know how these compare to a lookup table approach. I tried it on my mac, and like for you, the Math.log2 was faster, I updated the post with the perfs seen on my mac. a LUT for a function as a “log” usually doesn’t work very well, but that depends on the precision we want, something to explore in the future.